Crossed roller bearing RE18025 Belongs to Model RE Separable inner ring type for outer ring rotation. Having the same major dimensons as model RB,this model is used in locations where the roatation accuracy of the outer ring is required. 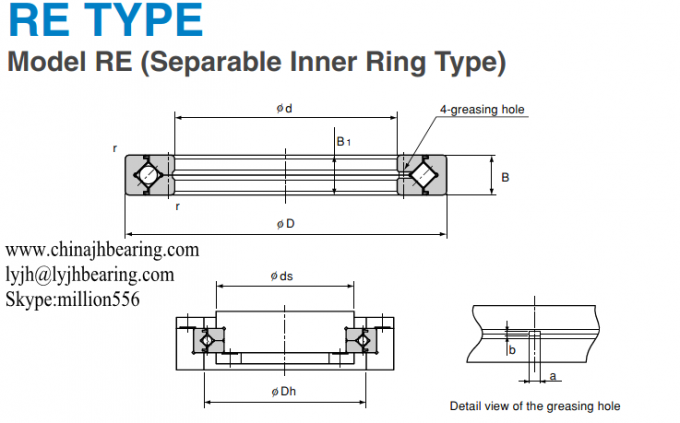 The structure including inner ring ,outer ing,roller and spacer retainer. 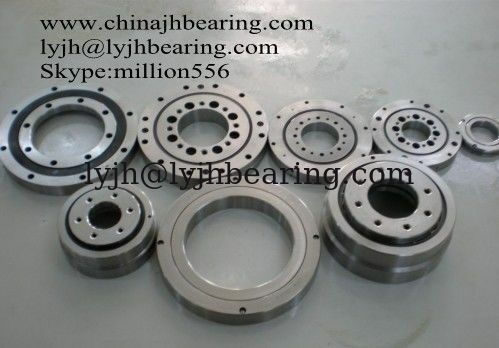 Crossed roller bearing RE18025 application such as joints and swiveling units of industrial robots,swiveling table of machining centers,rotary units of manipulators, precison rotary table, medical equipment,meansuring instruments and IC manufacturing machines.